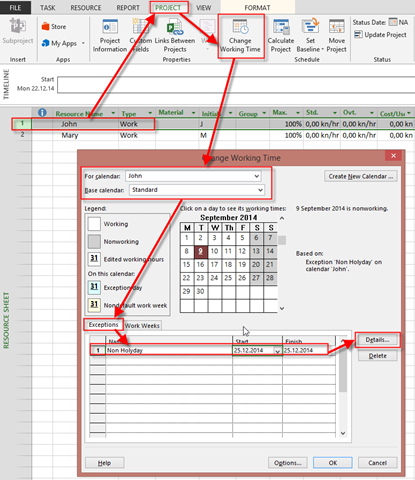 How to add exception into Resource Calendar in MS PROJECT 2013? I will show that with MS PROJECT 2013! Now I’m going to modify Standard Calendar, which I use for this Project! I will make an Exception for 25.12. As you can see, John will work on the Task from Monday ‘till Friday (also at 25.12. 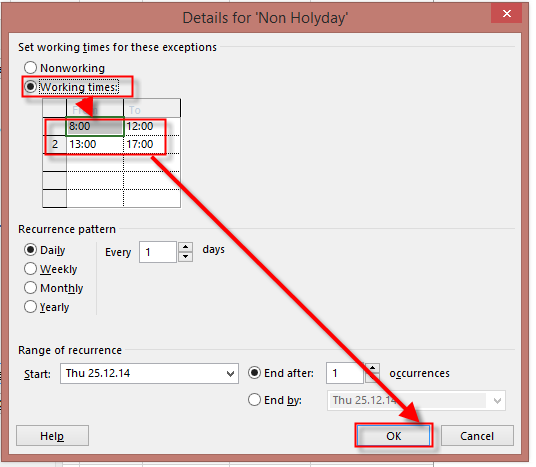 – Thursday), and Mary Will work From Monday ‘till Monday next week, without 25.12. 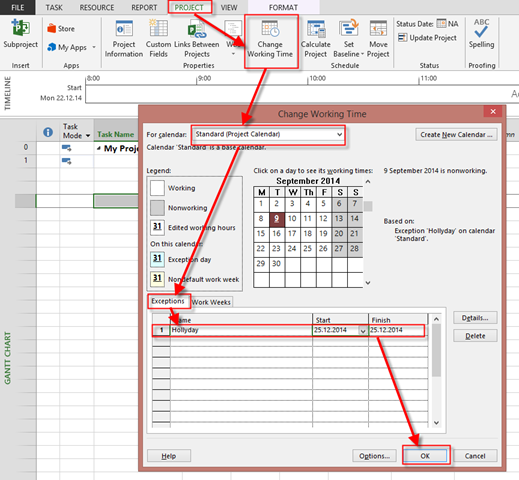 This entry was posted in MICROSOFT PROJECT, Microsoft PRoject 2010, Microsoft Project 2013, PMI, PRoject Management and tagged microsoft project - Resources, Microsoft Project 2010, Microsoft Project 2013 - Calendars, Microsoft Project 2013 - Resources. Bookmark the permalink. 1 Response to How to add exception into Resource Calendar in MS PROJECT 2013? Thanks so much for this post and your others. Very, very helpful! I truly appreciate the time you put into sharing your knowledge and allowing MS Project users to achieve more.